You will find below the horoscope of Sasha Mitchell with his interactive chart, an excerpt of his astrological portrait and his planetary dominants. If you know the time of birth of Sasha Mitchell, we would appreciate it if you would send us your information with your source, at stars@astrotheme.com. To thank you for contributing to the enhancement of our astrological database, we shall be glad to send you the astrological portrait (34 pages) of this celebrity. Horoscopes having the same aspect Sun square Mars (orb 0°11'): Jennifer Aniston, Catherine Zeta-Jones, Jennifer Lawrence, François Fillon, Nikola Tesla, Tina Turner, Jacques Chirac, Reese Witherspoon, Nicole Garcia, Ewan McGregor, Patrick Swayze, Anthony Kiedis... Find all the celebrities having this aspect. Horoscopes having the same aspect Moon square Mercury (orb 0°35'): Uma Thurman, Megan Fox, Jennifer Lawrence, Nicki Minaj, Emmanuelle Béart, Charles Manson, Joseph Stalin, Bradley Cooper, Kat Bjelland, Taylor Lautner, Victor Hugo, France Gall... Find all the celebrities having this aspect. Celebrities born the same day: Jonathan Rhys Meyers, Mystic Meg, Julian McMahon, Alex Rodriguez, Triple H, Taylor Schilling, Bourvil, Maya Rudolph, Donnie Yen, Nikolaj Coster-Waldau, Maria Grazia Cucinotta, Pina Bausch... List of all the celebrities born on July 27. Celebrities clicked on in real-time: 576,918,917 times. Sasha Mitchell (born July 27, 1967 in Los Angeles, California) is an American actor, best known for his role as "Cody" on the television series Step by Step. Sasha had a starring role in the 1988 film Spike of Bensonhurst. From 1989-1991, Mitchell appeared on the hit CBS prime time soap opera Dallas, playing James, the illegitimate son of J.R. Ewing (played by series star Larry Hagman). This led to several TV series guest-spots such as Rags To Riches. He earned his black belt in taekwondo and was a championship fighter in kickboxing. Using his real-life skills he took over Jean-Claude Van Damme's role in the Kickboxer movie series. Here are some character traits from Sasha Mitchell's birth chart. This description is far from being comprehensive but it can shed light on his/her personality, which is still interesting for professional astrologers or astrology lovers. 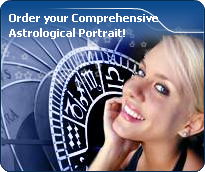 In a matter of minutes, you can get at your email address your astrological portrait (approximately 32 pages), a much more comprehensive report than this portrait of Sasha Mitchell. Warning: when the birth time is unknown, which is the case for Sasha Mitchell, a few paragraphs become irrelevant; distributions in hemispheres and quadrants are meaningless, so are dominant houses and houses' accentuations. Therefore, some chapters are removed from this part. Sasha Mitchell, Fire is dominant in your natal chart and endows you with intuition, energy, courage, self-confidence, and enthusiasm! You are inclined to be passionate, you assert your willpower, you move forward, and come hell or high water, you achieve your dreams and your goals. The relative weakness of this element is the difficulty to step back or a kind of boldness that may prompt you to do foolish things. The predominance of Water signs indicates high sensitivity and elevation through feelings, Sasha Mitchell. Your heart and your emotions are your driving forces, and you can't do anything on Earth if you don't feel a strong affective charge (as a matter of fact, the word "feeling" is essential in your psychology). You need to love in order to understand, and to feel in order to take action, which causes a certain vulnerability which you should fight against. After this paragraph about dominant planets, of Sasha Mitchell, here are the character traits that you must read more carefully than the previous texts since they are very specific: the texts about dominant planets only give background information about the personality and remain quite general: they emphasize or, on the contrary, mitigate different particularities or facets of a personality. A human being is a complex whole and only bodies of texts can attempt to successfully figure out all the finer points. Your intelligence is sensitive and delicate, with good comprehension abilities, Sasha Mitchell, which endows you with a strong intuition and receptivity. To you, impressions and feelings prevail over facts and your excellent selective memory is not cluttered with useless elements. Although you are not aware, your fertile imagination may lead you to change your daily reality so that it matches your dreams better. If you are creative, you may make use of your imagination in literary pursuits where you can freely invent beautiful stories taking place in the past. Your passion for History is such that you may immerse yourself into it with too much nostalgia and therefore, you may miss opportunities the present offers to design projects and to think of the future. Sasha Mitchell, inside yourself, feelings are strong and powerful. However, you never show them before weighing up and considering all the possible consequences of your words and your actions: fieriness and spontaneousness are toned down because you cannot help controlling yourself, probably due to your modesty, your discretion or your shyness; you are frightened because you are so concerned with other people's opinion that you see passion, or expressing your feelings too quickly, as sources of danger. However, you are helpful, simple, and you do not fuss around. Reason prevails in your love life but your heart may flare up when the context is well organized and everyday life is cautiously handled with good sense, tidiness and cleanliness. Your sensitivity prompts you to avoid excesses and outbursts and this is how you think that you can achieve happiness without risk. Your iron will is part of your assets, Sasha Mitchell. It is supported by an ingenuity and a skilfulness that may turn you into a mighty and feared personality. You have the knack of spotting weaknesses in persons you deal with and you can easily hurt them with your innate propensity to drill or to test their force. You are extremely stubborn and you never let go when you are convinced that you are right. Sexually, you are potent and passionate. You are domineering and secretive, with a magnetic personality. It is safer to avoid being taken in a conflict with you because you may be very aggressive and you bear grudges. In some cases, you may also be sadistic. Your personality is as secretive as it is domineering in the areas of action and sexuality. This text is only an excerpt from of Sasha Mitchell's portrait. We hope that it will arouse your curiosity, and that it will prompt you to deepen your knowledge of astrology, as well as to visit and use the wide range of free applications at www.astrotheme.com.